The hosts heaved a huge sigh of relief when Drogheda couldn’t profit from their best effort, seven minutes from time. United went on the attack, Destin Bisimwa showing great speed to dash down the right. A quick cut-back saw Bisimwa make room for a perfect cross, one that Patrick Abako met with a powerful header, but his effort came back off the post. That was the best chance United had, but the game could have been over by that stage had Carlow Kilkenny made the best of their early efforts. The home side had their first proper attempt midway through the first half when Scott Roycroft skipped away down the wing. His cross picked out Eoin Dempsey in the centre, but he couldn’t get the ball out of his feet in time to get his shot off. Drogheda were quick to hit back. Bahn Delemere’s chipped pass caused panic in the Carlow Kilkenny defence. Hesitancy at the back gave Sean O’Driscoll time to flick the ball on towards Laoi Azeez, but Josh Coady raced from his line to snap up possession. Despite playing into a tough wind Carlow Kilkenny put more emphasis into their attack in the latter stage of the first half. One such move saw Jack Byrne start and finish a move with Aaron Dargan. Byrne found time to take a touch on the edge of the box, but his 32nd minute shot flew over the bar. The stalemate survived into the second half, but Carlow Kilkenny did their best to break it. They had a gilt-edged chance to do just that when Dylan Hand carved Drogheda wide open with a superb ball. The precise pass was gobbled up by Dean Owens, who burst into the box, but he lashed his shot straight at netminder Darren Rowley when the goal was at his mercy. Carlow Kilkenny got a fright when Drogheda went close with that Abako effort soon after. They regained their composure, but their efforts to find a late winner came to nothing. 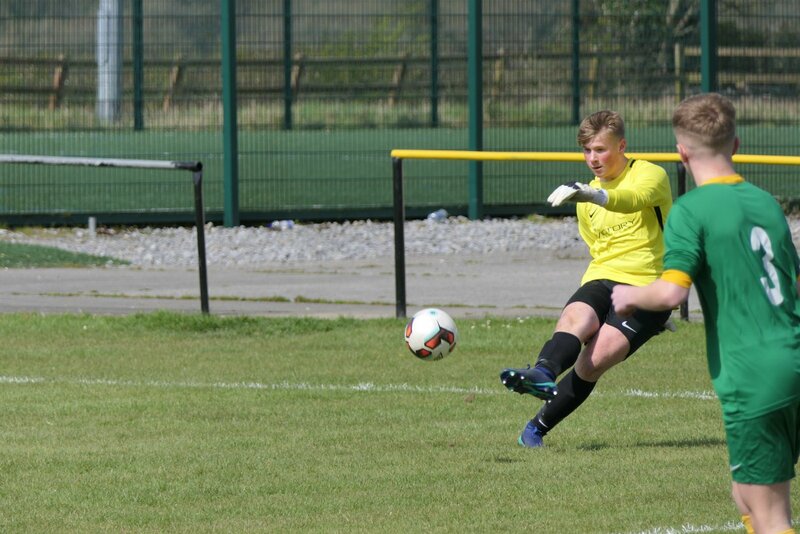 Cathal Kennedy tried to set up a late chance when he picked up Owens’ pass and fired it across an inviting goalmouth, but United scrambled the ball to safety. Drogheda dug in during the closing minutes, holding on to make sure of their share of the spoils. Carlow Kilkenny: Joshua Coady; Tom Maloney, Evan Rudkins, Che Scott, Scott Roycroft; Aaron Dargan, Jack Byrne, Cathal Kennedy, Eoin Dempsey; Jamie Murphy, Cillian Hackett. Subs: Dean Owens, Nathan Murray, Dylan Hunston, Dylan Hand, Cian Ward. Drogheda United: Darren Rowley; Dewis Nicolenco, Aidan McCormack, Brian Cooney; Callum Ralph, Laoi Azeez, Keith Ross Grimes, Jack Supple; Banh Delemere, Joshua Saward, Sean O’Driscoll. Subs: Shane Manning, Patrick Abako, Destin Bisimwa, Mario Creed, Jack Caverly, Josh Reid.